Plug-in electric market observers, especially in the U.S., long ago noted that leasing an EV is the way to go if you want to avoid some risk about battery capacity degradation or residual value uncertainty in the fast changing environment (new, better models for example). Of course the base reason is it is also often the most cost effective way to drive an EV, especially when incentives are in play. 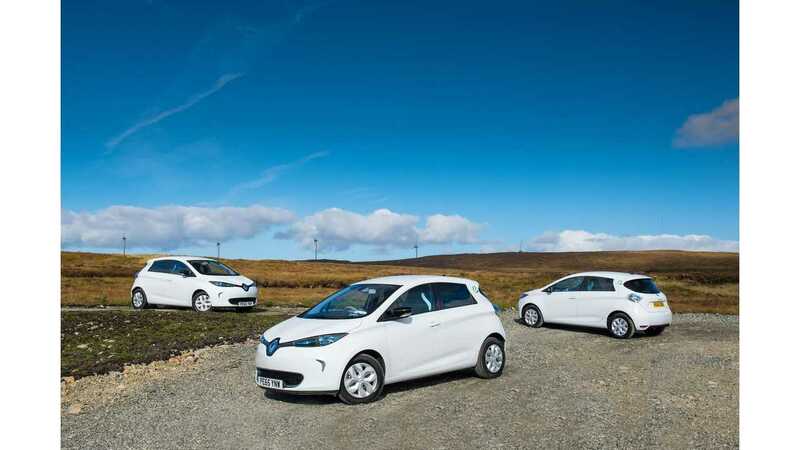 Recently the British Vehicle Rental and Leasing Association (BVRLA) discovered that in the UK, electric cars have a much greater market share among leases than the overall market for ownership. 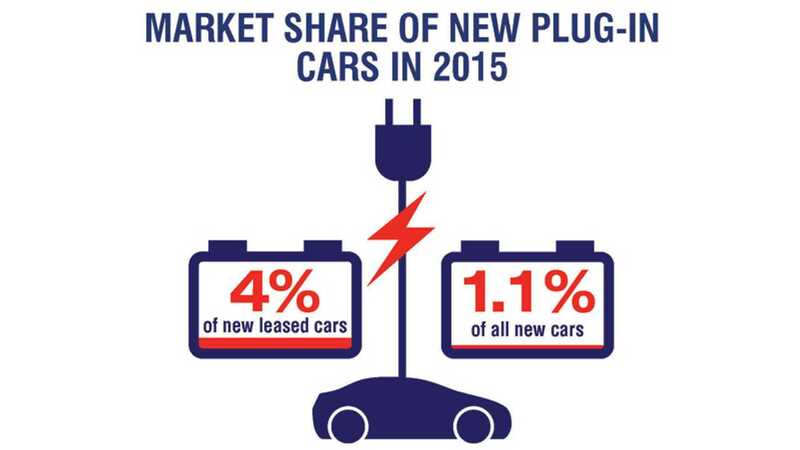 In 2015, the average market share for new plug-in registrations was 1.1% (while 4% among leases). In the fourth quarter those numbers accelerated to 1.3% and 4.7% respectively. Because very high share of plug-ins, on top of higher ratio of small cars in leases than purchases, new leased cars are on average much cleaner in terms of CO2 emission. "The BVRLA’s latest quarterly survey of its leasing members found that almost one in 20 (4.7%) of all new leased cars registered in the final quarter of 2015 was a plug-in, well-ahead of the market penetration achieved across all new registrations, which stood at 1.3%. Across 2015, 4% of BVRLA leasing members new additions were plug-in vehicles, compared to 1.1% of all new vehicles registered in 2015. 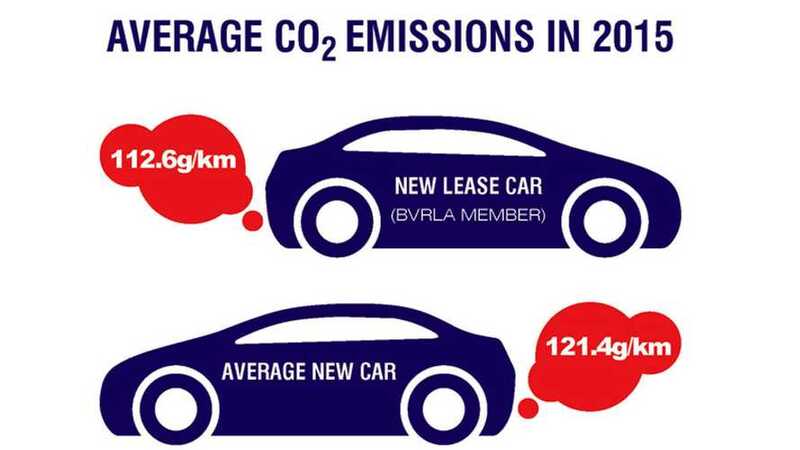 Thanks to this ever-increasing adoption of pure and plug-in hybrid electric cars as well as low-emission petrol and diesel vehicles, the average lease car added to a BVRLA member fleet in 2015 emitted just 112.6g/km CO2, more than 7% less than the average new car registered in 2015." "According to the latest BVRLA survey, leasing companies were responsible for around 1.3 million business cars and vans at the end of 2015, which was a 5.5% increase year-on-year."